In case you missed my post yesterday with the press release announcement, Hiram Walker is preparing to launch a new consumer cocktail contest, the second in The Quest series, on December 1st. The theme this time around is “Hot Drinks” and serves as an ode to the simple ‘winter warmers’ we are likely to be enjoying this time of year. Pour into a coffee mug and serve. New York, N.Y., (November 29, 2011) – Hiram Walker, the exceptional line of all-natural and premium schnapps, liqueurs, brandies and triple sec, today announces the second chapter in “The Quest”, the brand’s year-long search for the country’s best cocktail creations. In this second chapter of The Quest, Hiram Walker invites consumers to develop and submit online original Hot Drinks using a wide selection of the brand’s liqueurs and schnapps for a chance to win one of two top prizes – one $500 and one $250 gift card. Launching on December 1, consumers will be invited to create innovative, winter-warming Hot Drinks recipes that feature at least one of the following all-natural ingredients: Hiram Walker® Caramel Apple Liqueur, Hiram Walker® Original Cinn Cinnamon Schnapps, Hiram Walker® Peppermint Schnapps, Hiram Walker® Butterscotch Schnapps, Hiram Walker® Coffee Brandy, Hiram Walker® Blackberry Brandy. A panel of independent judges will select two winners, a first- and second-place cocktail recipe, from all valid entries in accordance with the judging criteria. ** This Contest is in no way sponsored, endorsed or administered by, or associated with, Facebook®. Mixing up a Diavlo cocktail with Sandeman Founders Reserve port. Normally prepared on its own as served in a large wine glass, port is recently gaining traction as a versatile and welcomed addition to a cocktail recipe. The rich and fruity components of this ruby red wine make for an even more fitting cocktail ingredient as we finally usher in the start of the holiday season. So how does one use port in a cocktail? A ruby port, such as Sandeman’s Founders Reserve, comes in at 20% ABV, in the ranks of many liqueurs on the spirits side. Simply start with making port an additional ingredient in your upcoming holiday cider or sangria recipes. Founders Reserve has been aged for five years, giving it depth to complement a variety of powerful fruit flavors. In a tall Collins glass, pour tequila, lime juice and simple syrup. Add ice. Top off with ginger beer up to 1/2 inch from the top of the glass. 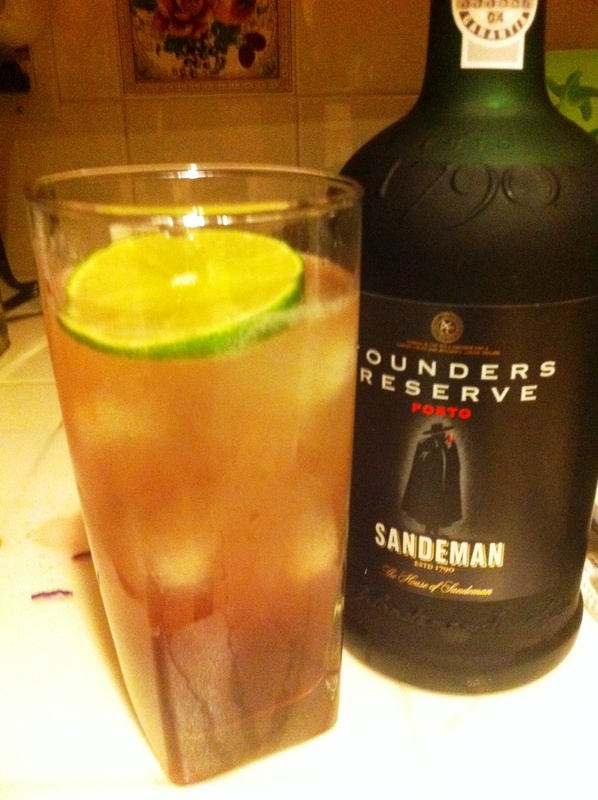 Float Sandeman Founders Reserve on top and garnish with a lime wheel. This drink intrigued me for it has the strong foundation of looking to be a Buck style of cocktail (spirit, citrus, ginger beer). Typically, I associate a Buck as a summer beverage, but the float of the Founders Reserve added a truly earthy depth. As such, the Diavlo developed into a cocktail layered with flavor that, to me, would be welcomed at an upcoming holiday party. So the question of the day is: How do you use port wine as a cocktail ingredient? I’d love to see some of your ideas in the comments below! I thoroughly enjoy receiving emails or comments from bloggers telling me some of the various uses they have found for the spirits brands I have shared with them. It truly is exciting to read about all of the creative, inspiring and delicious cocktail recipes that float my way. One such example is a recipe recently emailed to me from blogger extraordinaire and fellow Bar None Drinks compatriot, Doctor Bamboo. 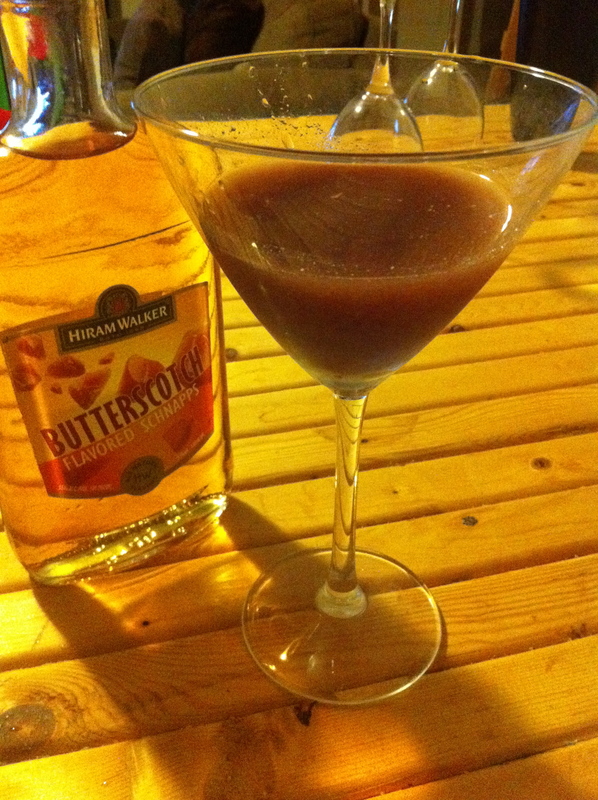 Dr. B shared with me a cocktail recipe he created in the weekly Mixoloseum chat room called the Dime Store Kiss and the drink calls for Hiram Walker’s Butterscotch Schnapps in the list of ingredients. I had a chance to stir up the Dime Store Kiss for myself before leaving town and wanted to share the drink recipe Doctor Bamboo graciously shared with me. Dry-muddle the Whoppers. Add remaining ingredients, shake with ice and double-strain into cocktail glass. 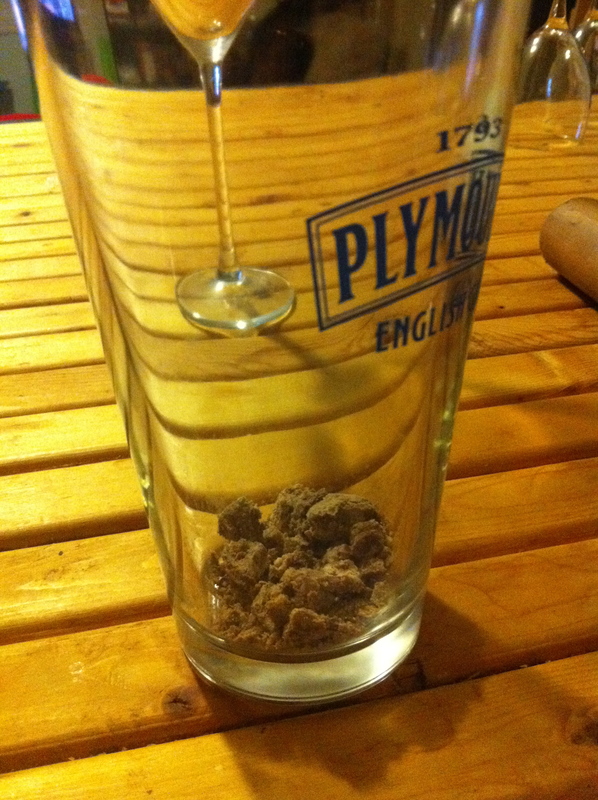 Never had I ever thought I would be stirring up a cocktail recipe that first called for dry muddling chocolate-coated candies. I suppose we've scratch another item off the cocktail bucket list! This drink served as our evening’s dessert and was welcomed for its balancing of both spicy and sweet flavor profiles. The drink starts with a slight bite, thanks in part to the hearty rum, but rounds out to finish smoothly, offering what could be described as a near-caramel taste. For a slightly sweeter edition, I could perhaps find adding in a quarter ounce of Kahlua as a welcomed addition; I think that the liqueur’s base of rum, coffee and cocoa would fit in nicely with the recipe. This is one drink I’ll certainly keep in my back pocket, especially with all the superfluous post-Halloween candy that seems to continue hanging around in the grocery and convenience stores. 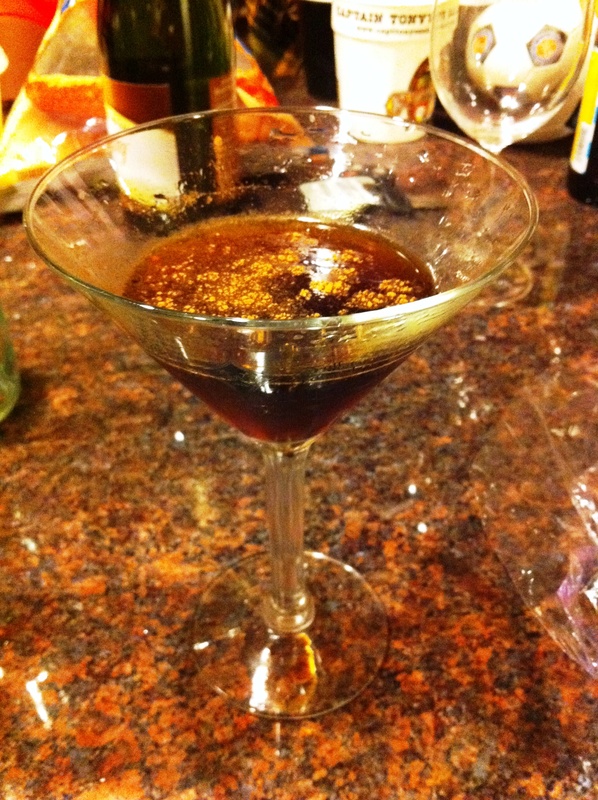 Many thanks to Dr. B again for sharing this drink recipe with me – cheers! 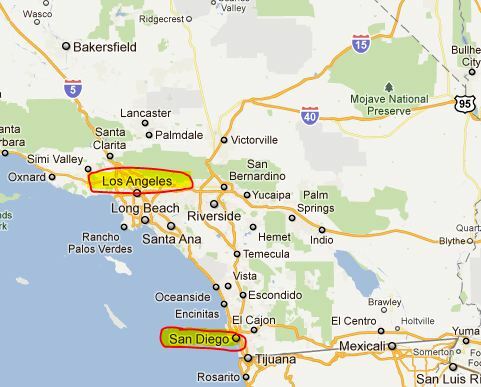 I’m terribly excited for my upcoming trip to Southern California! I’ll be making house calls to friends starting tomorrow in both the San Diego and the Los Angeles areas over the next week (I’m sure a few of the area’s great bars will be on the agenda as well!). But never fear – there will still be a new dose of Cocktail Culture for you while I’m away. Until then, please feel free to leave me a comment with your “can’t miss” imbibing destinations in these two markets. 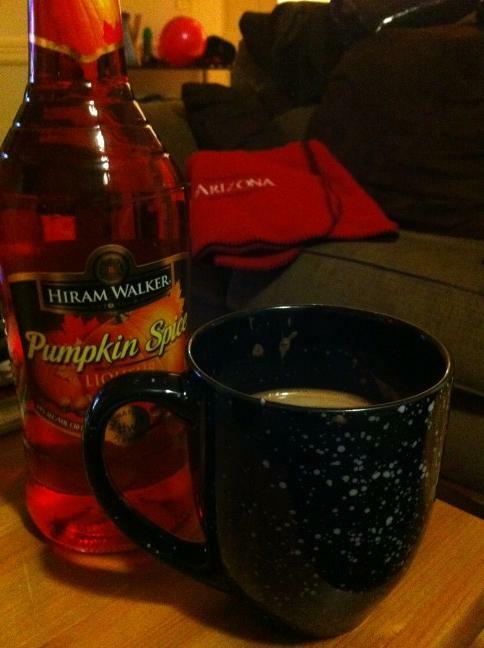 A Pumpkin Spice Hot Chocolate - perfect for a cozy fall evening. 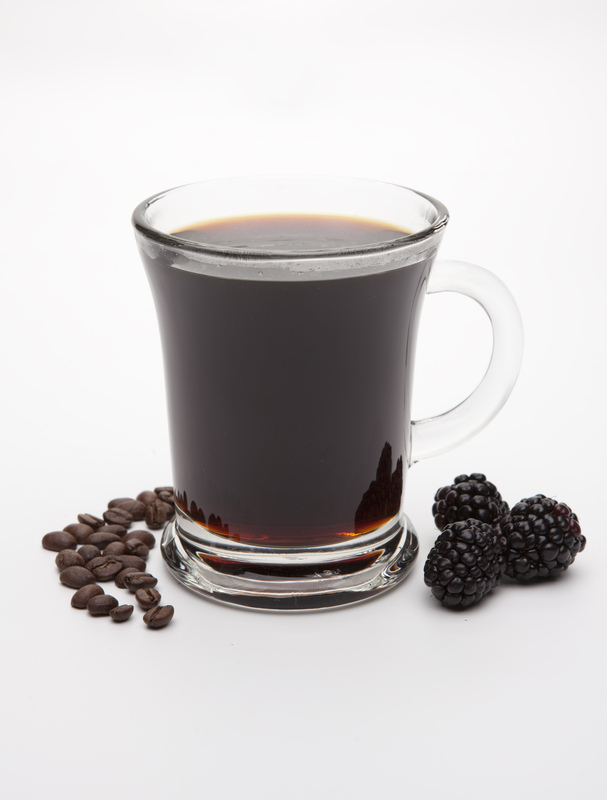 We take for granted the ability to heat up liquids to make warming beverages. In this case, it was boiling some milk for a chilly evening’s hot chocolate. To my hot chocolate, I added in one part of Hiram Walker Pumpkin Spice Liqueur as per the sage advice provided by Will Gordon (you can read his insights on the Pumpkin Spice and Caramel Apple Liqueurs here). It was delightful and added a subtle, but darling taste of vanilla, pumpkin and graham cracker. Additionally, having ice to shake a proper cocktail also fails one when power is gone for days and the freezer stops running (though I probably could have used snow on the ground the first day or so…). But for a pre-storm Halloween party, the Pumpkin Cocktail made another debut but, this time, without the use of either cream or half and half. I enjoyed making this cocktail for party guests without the creamy texture and also reveled in not providing yet another orange beverage (thank you, Kahlua) on the bar menu. A Pumpkin Cocktail perfect for Halloween party-goers. For my Pumpkin Cocktail, perfect for pleasing those in the crowd with sweeter palates, we just measured equal parts of Hiram Walker Pumpkin Spice, ABSOLUT Vodka and Kahlua Rum & Coffee Liqueur. For garnish, a bit of Pumpkin Pie Spice (or cinnamon will do just fine and dandy, too) on top is all you will need.